What does it mean to say that we can explain human behaviour scientifically? Is this even possible? 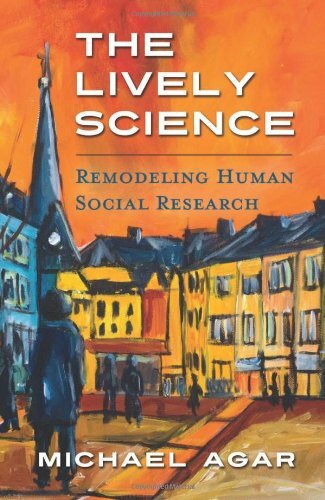 In The Lively Science: Remodeling Human Social Research, Michael Agar says yes, but not in the way that you might expect. Consider his first two paragraphs. Don't just look at what he says. Listen to how he says it. "What's a nice reader like you doing in a book like this? I'm hoping that you're here because you're curious about a way to do "behavioral science" or "social science" that will help you figure out a problem you'd like to solve, or maybe you just wonder what those words mean because you're a curious type. Maybe you're a student, new or returning, embarking on a course with those names attached to it, or maybe a course in one of the many other areas that make use of them. The point is, I'm writing for readers who are fresh to the concepts, not for colleagues. "This book has a simple premise to get you started. The premise is, research on humans in their social world by other humans is not a traditional science like the one created by Galileo and Newton . It's not that the creators were wrong. Far from it. The ones who were wrong were the historical figures who tried to imitate the way the creators worked, neglecting the fact that learning how people make it through the day is different from dropping balls from the Leaning Tower of Pisa or getting hit on the head by falling apples. Galileo didn't have to communicate with the balls. Besides, he didn't have to worry that the balls might look down 185 feet and refuse to jump and throw him over the parapet instead." Two points are vital here. One concerns how we read, the other what the book is talking about. When Agar writes, "The point is, I am writing for readers who are fresh to the concepts, not for colleagues," he is asking those of us who are or hope to be colleagues to turn off what we think we already know and approach those concepts he mentions with a fresh, innocent gaze that makes no assumption that we know what he is talking about. He asks us to be readers who act like ethnographers, putting aside what we think to attend carefully to the people whose lives we share, looking for evidence of ideas that may be radically different from those we bring to the field. This is no small request, since, as indicated in the second paragraph, the topic sounds awfully familiar. Anthropology, or at least the anthropology called social or cultural anthropology, is split down the middle. On one side are the "scientists" who see their goal as contributing to the kind of science conceived by Galileo and Newton, a science that discovers mathematical laws that apply everywhere, regardless of what the entities they describe might be thinking or feeling. On the other side are the "humanists," for whom the essence of humanity lies in what humans think and feel and insist that thoughts and feelings cannot be understood scientifically. They can only be interpreted, thickly described in ways that make human stories plausible. Our usual reaction to this divide is to pick one side or the other and become fierce advocates for our choice. Agar asks us to question the ways in which we conceive of scientific and humanistic understanding, to challenge the divide and consider an alternative view in which science and humanity are combined. Stated so baldly, the thesis of the book sounds like a familiar sort of Hegelian dialectic: Thesis=science. Antithesis=humanity. Synthesis=A reconciliation that overcomes the initial contradiction. But there is much more to The Lively Science than is captured in this formula. Agar leads us on a picaresque journey through the thickets of modern social theory. He leads us away from the heavyweights usually featured in brief histories of social theory: Mars, Weber, and Durkheim. Instead he directs our attention to German idealists with names like Dilthey, rarely mentioned except in footnotes, and invites us to consider what they were on about when distinguishing naturwissenschaft, literally "natural science," from geisteswissenschaft, "spiritual sciences," a.k.a., humanities, but insisting that both are wissenschaft, i.e. science. Via this journey, Agar leads us to consider a broader view of science that encompasses the humanities as well as behavioral sciences, both scientifically rigorous albeit in different ways. As illustrated by the two paragraphs quoted above, however, this is not a pretentious, ponderous book. Agar is a witty and genial writer well-aware that his mission is not to speak to those already his colleagues, already set in our intellectual ways, but to newcomers, still young and open enough in mind and spirit and still rebellious enough to want to challenge their teachers, to consider thoughts not heard, or heard not nearly enough, in classrooms. If you see yourself in this description, Michael Agar's The Lively Science is a must-read for you.